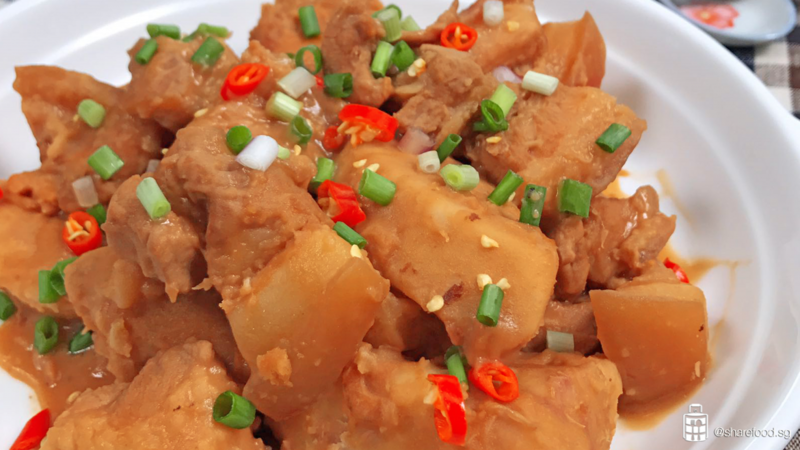 There are quite a few variations of this dish, but today we present to you Rita’s Pork Belly with Yam and Fermented Beancurd. 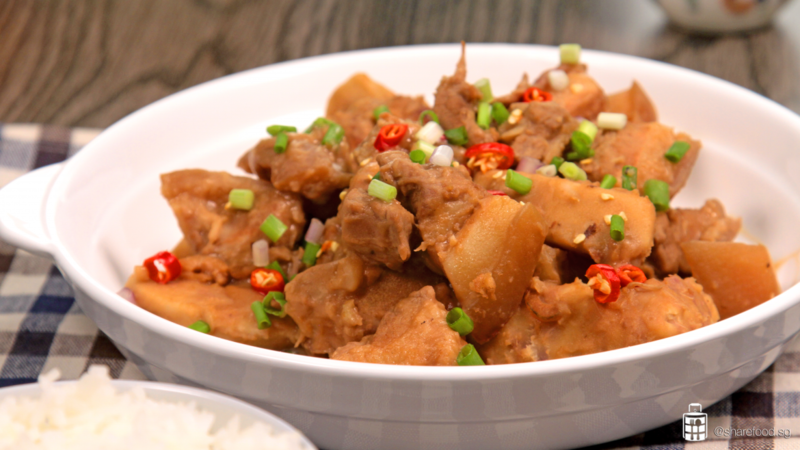 The typical way of cooking this dish is to fry the pork and yam till it’s crispy on the outside and juicy on the inside. 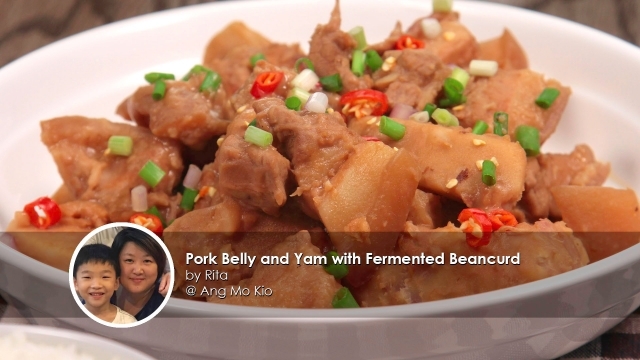 But for Rita, she chooses the healthier way of cooking yet not compromising the excellent taste of this dish. 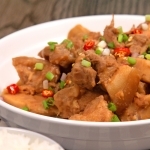 Stir fry the pork belly and yam with garlic and dried shrimps to enhance the taste, and add in hot water at the end to allow all the ingredients and condiments to simmer and fuse together. This dish makes a good ‘one-pot’ as there are aplenty of gravy which goes really well with a bowl of steamy white rice. Give it a try today, it’s easy and simple to make this dish! Recipe right below! 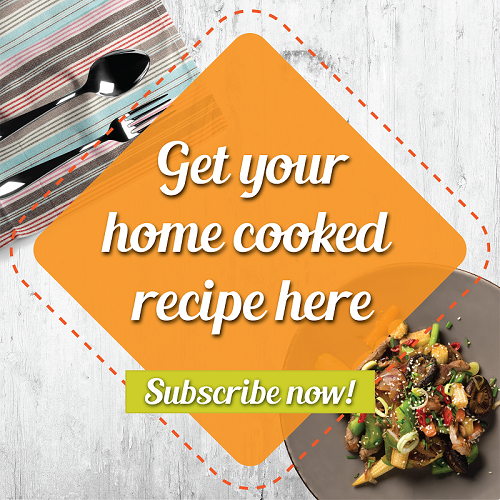 In a mixing bowl, add the marinade to the pork. Coat evenly. Wrap with cling wrap, marinate for 1 hr in the chiller. Pour in sufficient hot water to cover the ingredients. Add in oyster sauce and fish sauce. Turn up the heat and let it to boil. Reduce the heat, let it simmer for 5 - 10 mins till the yam softens. Add in sugar, stir and allow the sauce to thickens. Sprinkle some spring onion and red chilli on it. Ready to serve with a bowl of rice.